November 30-December 8, 2013 an IWP delegation of three writers and one photojournalist traveled to Sudan and South Sudan to give readings, lead writing workshops, and mentor and engage students of all ages. In Sudan, members of the delegation led creative writing workshops for students at Omdurman Islamic University, Ahfad University, and Ahlia University, gave numerous readings, met with teachers, students, journalists and book clubs, and engaged with the Ghada Young Writers Society, an organization devoted to fostering the talent of young writers. In South Sudan, the delegation spoke with Radio Miraya, a practical way to reach out to aspiring writers in South Sudan, where communication infrastructure is limited. The IWP delegation also met with journalists and writers, led workshops and master classes in photojournalism and creative writing at the University of Juba and a special session on empowering girls through writing, among other activities. Before leaving South Sudan, the IWP delegation met with writers one-on-one to provide feedback on their work. Catherine FILLOUX is an award-winning playwright who has been writing about human rights and social justice for more than twenty years. Her play LUZ recently premiered at La MaMa in New York City, where she is a Resident Artist. Filloux’s new play about the civil rights movement and the KKK will open at La MaMa in 2014. Her libretto, New Arrivals, recently premiered at Houston Grand Opera. Filloux’s more than twenty plays have been produced in New York and around the world. She also wrote the libretti for the operas Where Elephants Weep, produced in Phnom Penh, Cambodia, and The Floating Box, selected as a Critics Choice in Opera News. Filloux’s plays are widely published, and she is featured in the documentary film Acting Together on the World Stage. Catherine received her M.F.A. in Dramatic Writing from Tisch School of the Arts at NYU and her French Baccalaureate in Philosophy with Honors in Toulon, France. 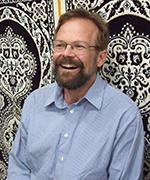 Adrie KUSSEROW is a poet and cultural anthropologist. Her poetry books include Hunting Down the Monk and Refuge, both with BOA Editions as part of their New American Poets Series. Her work has appeared in many journals including The Kenyon Review, Harvard Review, War, Literature and the Arts, and The Sun, and in anthologies such as Best American Poetry, Deep Travel: Contemporary Poets Abroad and The Strangest of Theaters: The Poet and the World. She holds an MTS from Harvard Divinity School and a PhD in social anthropology from Harvard University. She is the author of American Individualisms (Palgrave MacMillan). Her current research, field work and humanitarian projects are in South Sudan and Bhutan where she works with the Bhutan Centre for Media and Democracy. She is one of the founders of Africa ELI (Education and Leadership Initiative: Bridging Gender Gaps Through Education). Currently she is poetry editor at Anthropology and Humanism and Chair of the Department of Sociology and Anthropology at St. Michael’s College in Colchester, Vermont. Thomas LANGDON is a photographer with four decades of experience as a photojournalist, college faculty in commercial photography, and exhibitor in numerous private and public venues. He holds degrees in photography and sculpture and in cultural/visual anthropology. Currently he lives in Iowa City, Iowa and photographs for a variety of university and corporate clients. His most recent body of work are portraits of writers from the University of Iowa’s International Writing Program. His writer portraits have been used on numerous book jackets and in international publications. Langdon has been the recipient of grants from the National Endowment of the Arts and the Iowa Arts Council for photography exhibitions in public and social spaces. Langdon travels internationally to photograph, most frequently to the Mexico states of Chiapas, Oaxaca, and Michocán. In addition, Langdon also makes custom wood coffee tables, benches and stools sourced from damaged or felled trees.